Electronic waste export to Nigeria...Olusosum dump site, Lagos. Goverment run by the agancy Lagos Waste Management Authority ( LAWMA ). 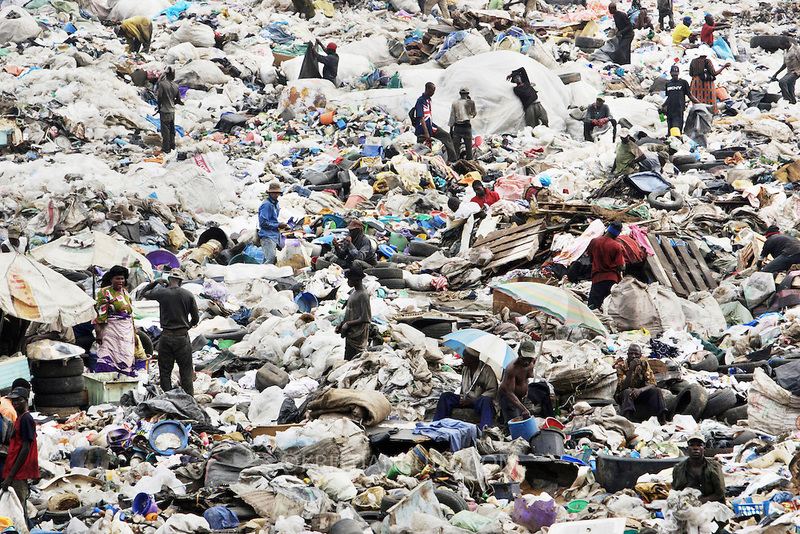 One of 6 sites taking in general waste from all over Lagos. E-waste is not allowed on site, but some does appear from the gerneral waste collected all over Lagos. Scavengers,- people, are making a living out of shfting through the rubbish and selling their collections for recycling..Some of the scavengers live on site, too poor to pay for accommodation any where else. ..The shipment - TV-set originally delivered to municipality-run collecting point in UK for discarded electronic products - was tracked and monitored by Greenpeace using a combination of GPS (Global Positioning System using satellites), GSM (positioning using data from mobile networks to triangulate approximate positions) and an onboard radiofrequency transmitter (used for making triangulations in combination with handheld directional receivers used by team on ground) is placed inside the TV-set. The TV arrived in Lagos in container no 4629416. TV chase in Lagos - Britian's export of e-waste.